Phosphorus (P) is essential to human life and vital for food production. It is the critical building block of DNA, cell membrane and bones and plays a crucial role in cellular energy metabolism. Today, P is mostly obtained from mined phosphate (Pi) rock, but natural reserves of Pi rock are concentrated in a limited number of countries such as Morocco, China, and the US. On the other hand, an inefficient use of P and the leakage of phosphate-containing fertilisers, detergents and sewage into water bodies are causing irreversible eutrophication problems. Moreover, mined Pi rock is largely contaminated with toxic heavy metals such as cadmium and radioactive uranium. From health and environmental perspectives, there are increasing concerns about the long-term application of chemical fertilizer to farmland. Increasing attention has been paid to the development of P refinery technology that can recover P from waste streams and reuse recovered P products for agricultural and industrial purposes. In the wastewater treatment sector, P is removed from wastewater using chemical or bio-based technologies. Removed P ends up in sewage sludge which is then subjected to anaerobic digestion, dewatering and incineration. This offers hot spots for P recovery from (i) the rejected water from sludge dewatering, (ii) digested sludge, (iii) and incinerated sludge ash. 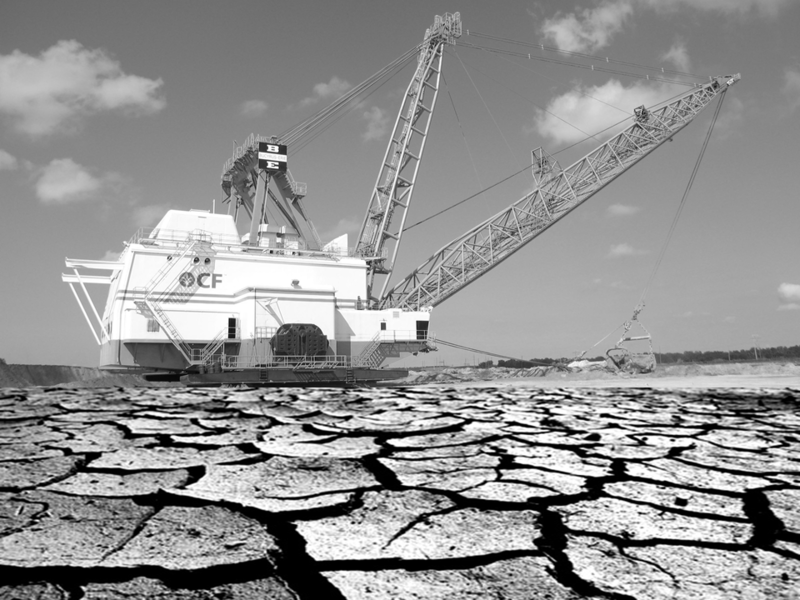 More than 70 full-scale P recovery plants are currently operating in Europe, North America, and East Asia. Basically, the P recovery technologies are (i) chemical Pi leaching from incinerated sludge ash, (ii) Pi salts precipitation, and (iii) struvite crystallization after anaerobic sludge digestion. Incinerated sludge ash having the high content of P is also used as a raw material for the manufacture of phosphoric acid in a wet acid process. P recovery practices are now expanding not only to the wastewater treatment sector but also to the manufacturing sector. In the manufacturing sector, Pi must be removed from wastewater to meet stringent effluent regulation in areas vulnerable to eutrophication. The recycling of recovered P products as a fertilizing material can save the costs of sludge disposal and leads to the significant reduction of plant operating expenses. P recovery is also practiced from solid waste streams such as animal manure and steelmaking slag. In East Asian countries, including China, Korea and Japan, steelmaking slag is one of the most important secondary P resources. Recovering P from steelmaking slag allows the rest to be reused as raw materials in blast furnaces. This has the enormous potential to improve the resource efficiency of steelmaking process. Except some European countries such as Switzerland and Germany, no regulation requires P recover and recycling for the wastewater treatment sector. This allows the wastewater treatment sector to consider P recovery as an extra service. On the other hand, fertilizer companies cannot accept recovered P products unless they bring some economic benefits to their business. P recycling practitioners need to establish stable channels for the distribution and sale of recovered P products. To make P recycling business more attractive, it is critical to develop a new value chain that can extract the maximum value from secondary P resources. East Asian countries are becoming increasingly the center of high-tech industries in the global economy. They need high-purity P compounds for manufacturing high-value added products including semiconductor, lithium battery, liquid crystal panel, medicine, and fire-retardant plastics. Elemental P, called white or yellow P, is the essential starting material for the manufacture of high-purity P compounds. The secured supply of elemental P is becoming increasingly difficult in the global market. Actually, the supply risk is much higher than that of Pi rock. EU added elemental P to the list of its critical raw materials, taking into account the potential risk of the secured supply of high-purity P compounds in Europe. Elemental P is now produced by only four countries in the world, including China, USA, Kazafstan, and Vietnam. The production of elemental P is an energy-intensive process which is strongly dependent on locally-sourced electricity, Pi rock, and cheap labor forces. It requires approximately 14 MWh of electricity for each ton of elemental P produced. Moreover, since Pi rock is contaminated with toxic heavy metals and radioactive elements, pollution control is another difficult problem regarding the production of elemental P from Pi rock using a conventional arc process. To solve these issues, it is necessary to redefine the P value chain through technology and business innovation based on recycling. The technology innovation needs to promote the development of (i) highly-efficient P recovery from secondary resources, (ii) an improved wet acid process to generate phosphoric acid from recovered P products, (iii) an innovative carbothermal reduction of low-grade Pi to elemental P with minimum electricity consumption and low environmental burden, and (iv) new processes for the manufacture of high-value added P compounds to meet the demand from high-tech industries. Among them, the key technology is the innovative carbothermal reduction of low-grade Pi to elemental P.
The technology and business innovation based on P recycling, called P Innovation, can make a great contribution not only to the sustainability of agriculture but also to the secured supply of high-purity P compounds to the high-tech industry. There is no significant tradeoff in the use of P between agriculture and industry, because industry needs only a small fraction of recovered P for their business. 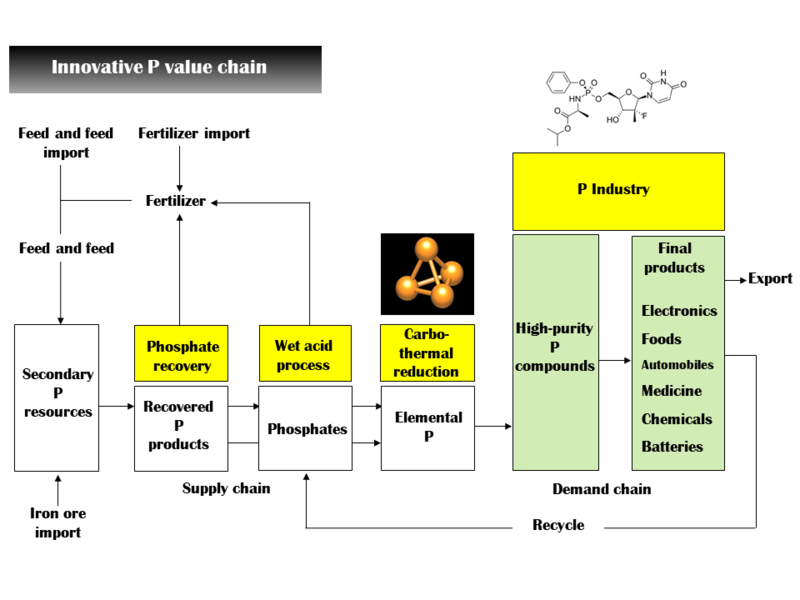 Rather, redefining the supply chain of high-purity P compounds can offer economic incentives to P recovery from secondary P resources, thereby making a great contribution to the sustainable use of P not only in agriculture but also in industry. Prof. Hisao Ohtake will deliver a Master Lecture on Phosphorus Recovery and Recycling at the IWA World Water Congress & Exhibition 2018. This lecture will present full-scale practices of P recovery and recycling from waste streams and an innovative P value chain that can extract the maximum value from secondary P resources and make P recycling business more attractive and beneficial.